Our family are experts when it comes to Cooling, Heating and Plumbing for your homes and businesses near Magnolia, TX. Our family gives you our personal promise that we won’t be happy until you’re 100% satisfied! Our reputation is based on your 100% satisfaction, and we take that promise seriously. It’s a part of our company mission! Call us now at (281) 651-5484 or (936) 271-2030 for fast and friendly service. 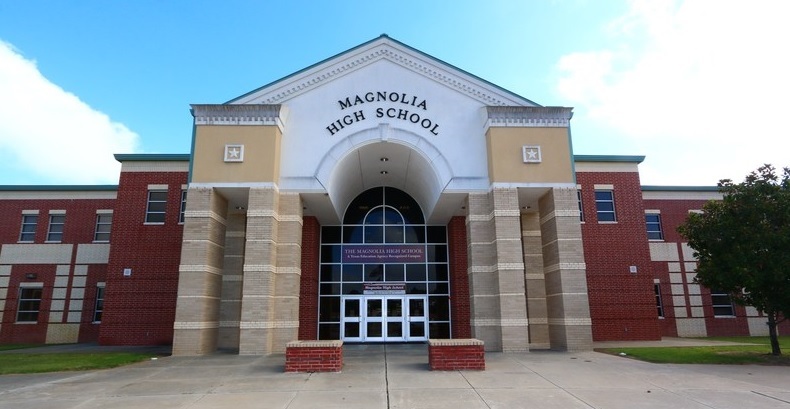 We’d love the opportunity to earn your business as we have with your Magnolia, TX neighbors. See what your neighbors are saying about our services below! This was our first experience with Bradbury Brothers Plumbing. The employees (Chris and Isaac) were courteous and professional as they explained our options for a new watertank. Initially we were just seeking an estimate for the replacement cost of the tank but after Chris thoroughly explained our options, we decided to move forward with a replacement which Chris and Isaac diligently installed on the spot. We are very pleased with the experience and would highly recommend Bradbury Brothers for anybody's plumbing needs. Joe, arrived early in the time window, essentially on time. He took care to make sure there was no mess and there was none. He was fast and thorough, and explained items that need attention. I will make arrangement for these items to be corrected in the near future. Technician arrived at my location within a few hours of my call. The tech was very nice and got here quickly. Our upstairs ac had issues for a few years. After calling multiple companies out with no luck, Terrance was able to show up at the appointment time and find the issue within just a few minutes. The service from Terrance and the phone staff was outstanding. Clear and honest all the way. Will use again and again, when needed. Customer says there is a leak coming from the base of the toilet at this commercial property. Noticing the double waxed toilet has two types of wax rings. Also adjusting the flapper to the maximum commercial setting. Residential customer would like us to replace the 3 inch flapper in the master toilet. Next week I will replace the upstairs guest fill valve, angle stop, and supply line. Performing semiannual air conditioning maintenance tune-up on Bryant AC system in a residential home. Programming thermostat, checking air filters, testing safety controls/detectors, balancing airflow, assessing ductwork, taking vital readings, and evaluating HVAC system performance. System is cooling and ready for Summer weather. Performing semiannual air conditioning maintenance tune-up on two AC systems in a residential home. Programming thermostat, checking air filters, testing safety controls/detectors, balancing airflow, assessing ductwork, taking vital readings, and evaluating HVAC system performance. Recommending REME Halo UV light. Installing overflow protection to both systems, blew out condensation lines, and added 1 gallon of water to check drainage. Systems are cooling and ready for Summer weather. Repairing main water line that goes into residential home's shutoff valve outside of the house. Perform cool tuneup on comfort club member’s Trane AC systems. Performing semiannual air conditioning maintenance tune-ups on two Trane AC systems for a residential home. Programming thermostat, checking air filter, testing safety controls/detectors, balancing airflow, assessing ductwork, taking vital readings, and evaluating HVAC system performance. Recommending Reme Halo UV Light and air purification system, as well as new capacitors on both condensers to keep systems efficient. Also recommending installing overflow protection on both units to prevent water leaking into drain pan. System is cooling and ready for Summer weather. Performing semiannual air conditioning maintenance tune-ups on Mini Split AC systems in a residential home. Programming thermostat, testing safety controls/detectors, cleaning air filters, balancing airflow, assessing ductwork, taking vital readings, and evaluating HVAC system performance. System is cooling and ready for Summer weather. Installing Comfort Maker Evaporator Coil in residential home. Installing Nordyne Evaporator Coil and Comfort Maker Condenser in residential home. Performing semiannual air conditioning maintenance tune-up on Carrier AC system for Comfort Club member. Programming thermostat, checking air filter, testing safety controls/detectors, balancing airflow, assessing ductwork, taking vital readings, and evaluating HVAC system performance. Recommending Reme Halo UV light, air purification system, and new gas leak connector for this residential home. Also recommending installing an inline safety switch and blowout valve to protect home from water damage. System is cooling and ready for Summer weather. Ac tune up on commercial system. Doing diagnostic to repair comfort cooling! Perform cool tuneup on comfort club member’s Daikin AC system. Perform cool tuneup on new customer’s Lennox AC systems. 6 Reasons to Call for Plumbing or HVAC Help Right Away!